The morning of 7th November 1861 found the men of the 2nd Tennessee Volunteer Infantry* in camp around the town of Columbus, Kentucky, on the east bank of the Mississippi. Their gaze, along with the majority of Major-General Leonidas Polk’s Confederate force, was drawn to the scenes then unfolding across the river at Belmont, Missouri. A Union Brigadier-General based in Cairo, Illinois, had decided to launch an amphibious operation down the river, and had selected Camp Johnston at Belmont as his target. In what was their first major fight of the war, Ulysses S. Grant’s regiments were now driving the Confederates on the west bank back through their camp towards the Mississippi. 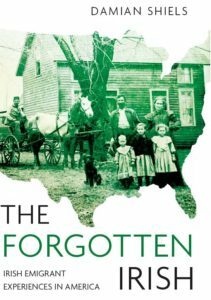 As disaster loomed, the 2nd Tennessee were ordered to the boats, and into the fight. Brigadier-General Gideon Pillow was then in command of the Confederate troops on the west bank of the river. He ordered Knox Walker to advance his regiment to meet the enemy and buy time so that the disorganised men on the riverbank could be reformed. Forming line of battle, the Irishmen plunged forward against the advancing Federal forces. The Union troops were not expecting an attack from fresh troops; as the Irishmen charged into the open field they checked the enemy’s advance, and it took Grant’s men some time to recover. Lieutenant James Walker, Colonel Knox Walker’s nephew, took over command of Company I when his Captain fell wounded. Now he was himself struck by a bullet in the hip, with the ball penetrating through to his intestines. He leaned against a log and continued to give orders for the next twenty minutes, shouting to Lieutenant John Dangan, ‘Fight Daugues, fight or die! Don’t let my men be taken prisoners’ before losing consciousness for the final time. Despite such heroics the 2nd were eventually forced back to the river, taking heavy casualties as they did so. They kept up their fire from this position, moving by the flank along the riverbank. 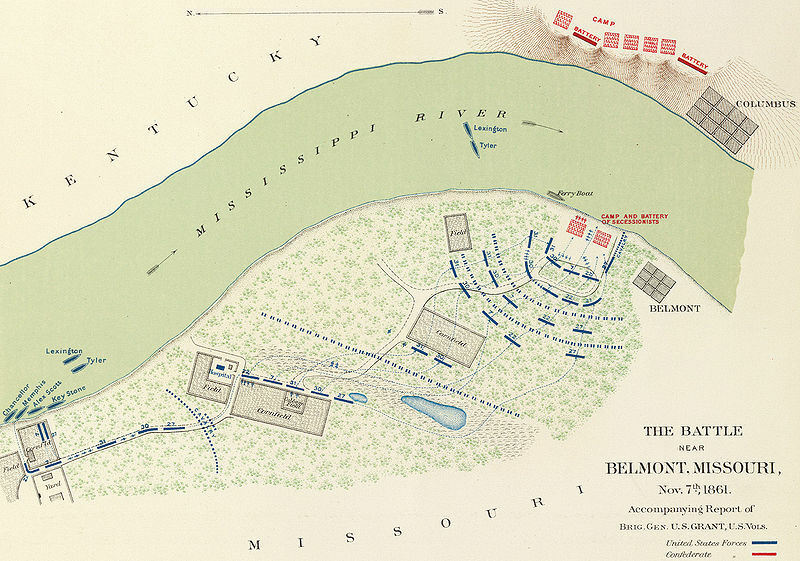 Map of the Battle of Belmont by Julius Bien & Co.
*One of two regiments designated the 2nd Tennessee Infantry, and not to be confused with the Nashville unit organised by William B. Bate.